My favorite EASY Lemon Bars recipe is made with a buttery shortbread crust and creamy lemon filling. 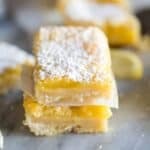 The PERFECT lemon bars with a thick, soft and chewy shortbread crust and a lemon filling that is perfectly sweet and creamy, without being overly “tangy”. Mix the butter and powdered sugar together until well combined. Add the flour and salt and mix just until combined. Press the dough evenly into the bottom of an 8 inch square baking dish. Bake the crust for 10 minutes. For the filling, combine the lemon zest and sugar in a bowl. Add lemon juice, flour, baking powder, and eggs and mix well until the sugar has dissolved. Pour the lemon filling into the baked crust and bake again for 20 more minutes or until the lemon filling is set. 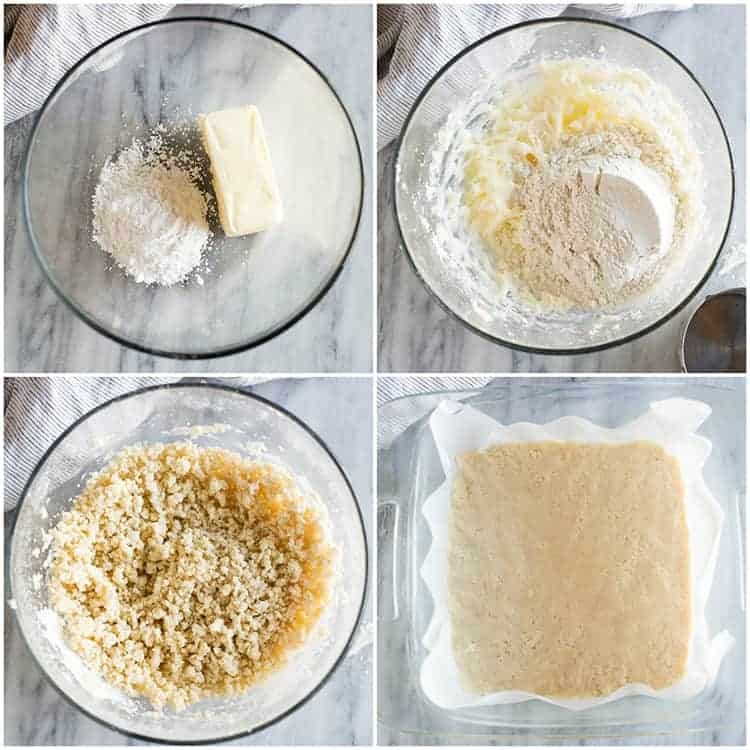 Remove the lemon bars from the oven and allow them to cool completely before dusting with powdered sugar and serving. Store lemon bars in the refrigerator. You can also FOLLOW ME on FACEBOOK, TWITTER, INSTAGRAM and PINTEREST for more great recipes! For the crust: In a mixing bowl or the bowl of a stand mixer, cream together the butter and powdered sugar. Add the flour and salt and mix on low speed, just until combined. Press the dough evenly into the bottom of the prepared dish. Bake for 10 minutes. Remove from oven and set aside. While the crust cools, make the lemon filling. Mix the lemon zest and sugar in a mixing bowl. Add the lemon juice, flour, baking powder, and eggs. Mix until well combined and the sugar is dissolved. Pour mixture over crust. Bake at 350 degrees for 20-30 more minutes, or until the filling has set. Remove from oven and allow to cool completely. Sprinkle with powdered sugar before cutting and serving. Store lemon bars in the refrigerator. 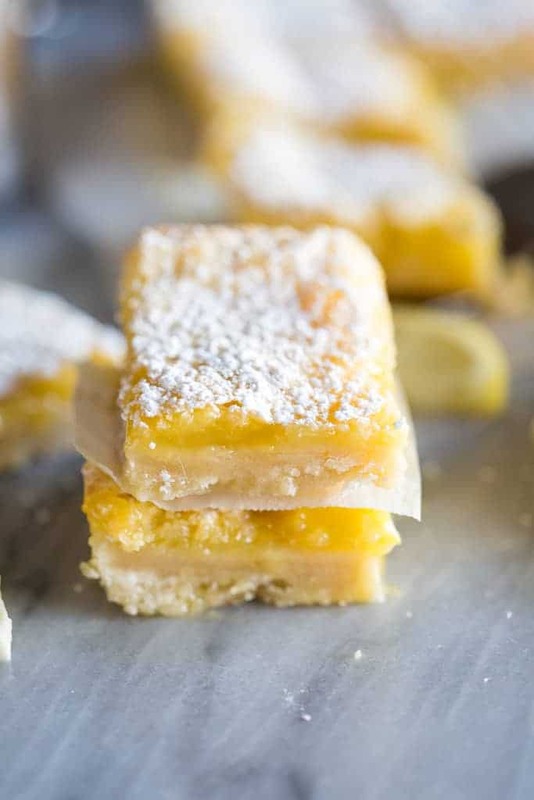 Can you make and freeze these lemon bars ahead? This was the most amazing recipe ever thank you, made the bar for a lunching and everyone really enjoy them. This is the same recipe my mother-in-law used to make and one of the few I’ve seen that uses baking powder in the filling. 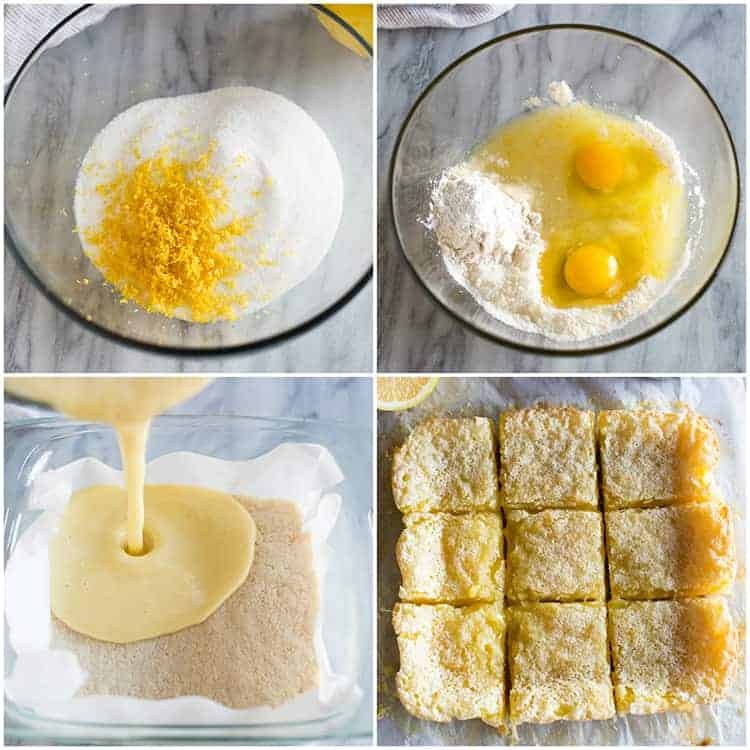 Instead of sprinkling powdered sugar over the bars, she’d make a glaze…1/2 cup powdered sugar, 1 TBSP lemon juice, 1 tsp. Lemon zest and 1 TBSP melted butter. Spread it on the filling after it’s cooled. Try it. You’ll like it! 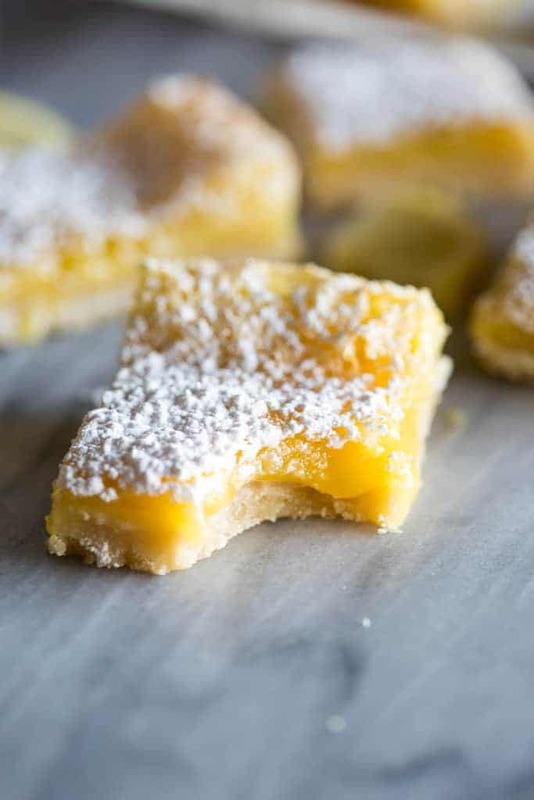 Made these for Christmas and everyone agrees – they were the best lemon bars ever!!! Thank you! Can’t wait to make them again, although it is dangerous to have them in the house! What size baking pan ? An 8” square, or you can double the recipe for a 9×13” pan. what an amazing recipe, my total family members love them well and thank you so much for your delicious recipes. I used two small lemons to zest. Very lemony. Crust is nice and short.